Ships today if you order in the next 9 hours 3 minutes. 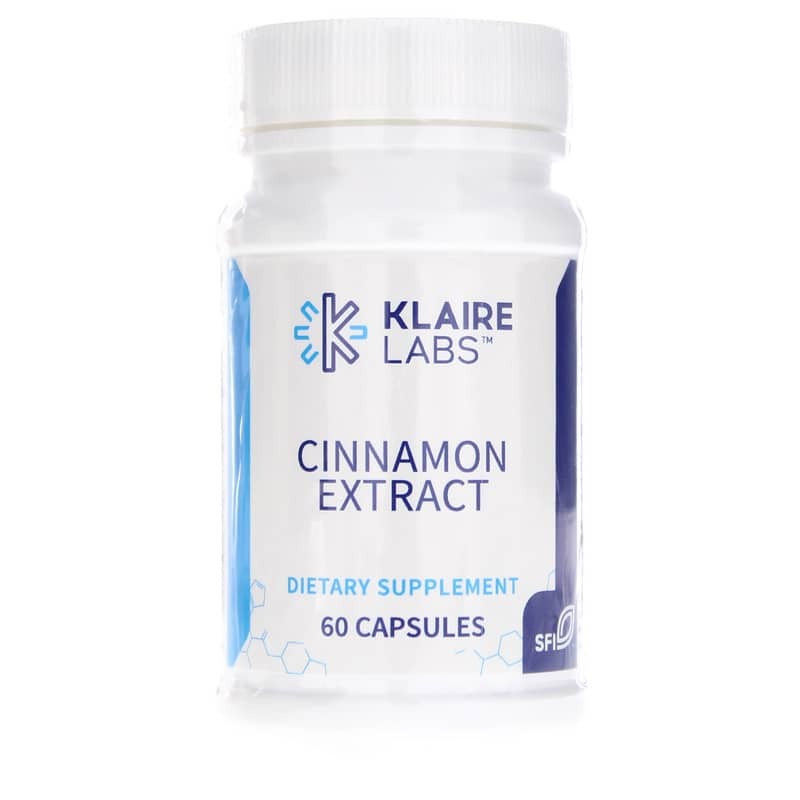 Klaire Labs Cinnamon Extract is a natural extract that may have a beneficial role in blood sugar, insulin, and cholesterol metabolism. 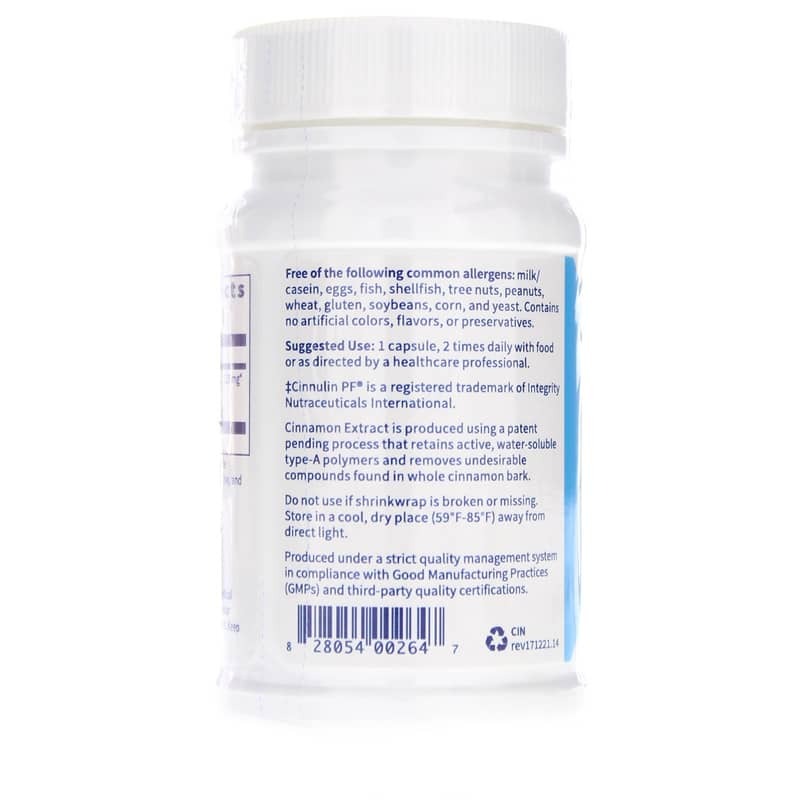 Klaire Labs has retained active water-soluble type-a polymers in this formula and removed the potentially harmful compounds found in whole cinnamon. Recent research suggests this sweet, aromatic spice may be helpful as a supplement to regular diabetes treatment in people with type 2 diabetes. A 2009 study found that taking cinnamon twice a day for 90 days improved hemoglobin A1C levels in people who had poorly controlled type 2 diabetes. One explanation is that cinnamon increases insulin action. It may help support blood sugar levels in people with type 2 by improving how their cells respond to insulin. This may in turn be due to the ability of compounds in cinnamon to stimulate insulin receptors. And other research found that seasoning a high-carbohydrate food with cinnamon might reduce its impact on blood sugar levels. One explanation for this is that high-carbohydrate meals increase blood sugar rapidly as your body rapidly empties them from the stomach. And cinnamon may decrease the spike in blood sugar after eating, as it slows the rate at which your stomach empties after meals. Contains NO: milk, casein, eggs, fish, shellfish, tree nuts, peanuts, wheat, gluten, soybeans, corn, yeast, artificial colors, flavors or preservatives. 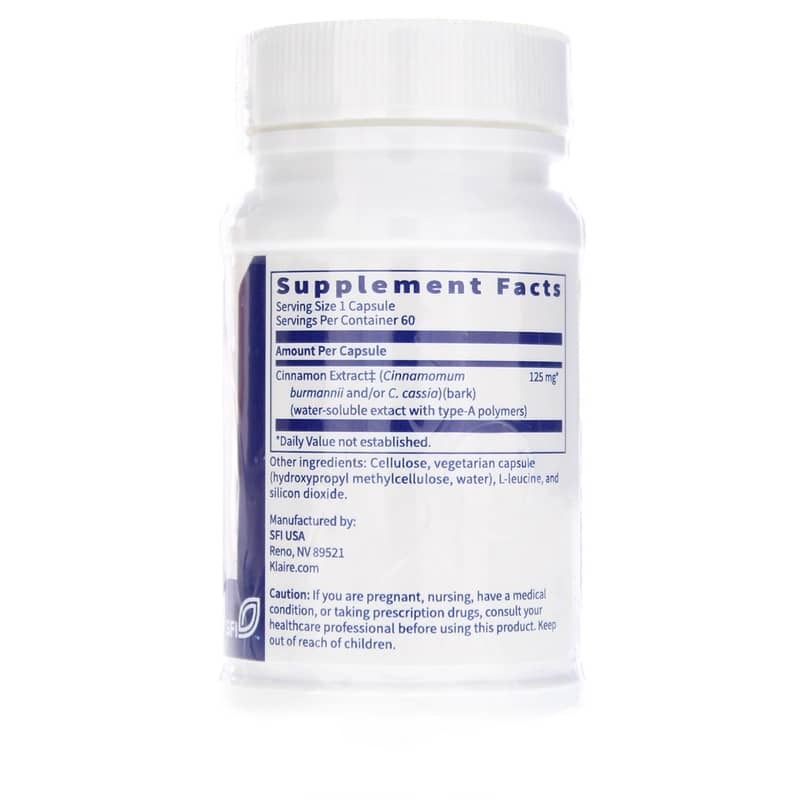 Adults: 1 capsule twice daily with food or as recommended by a healthcare professional.